More and more European leaders and officials are pledging to boycott the upcoming EURO 2012 football championship – in protest of the imprisonment and treatment of former Ukrainian Prime Minister Yulia Tymoshenko. EU Commission President Jose Manuel Barroso announced that he, along with EU Justice Commissioner Viviane Reding, will skip the ceremonial Euro 2012 football kick-off in June. 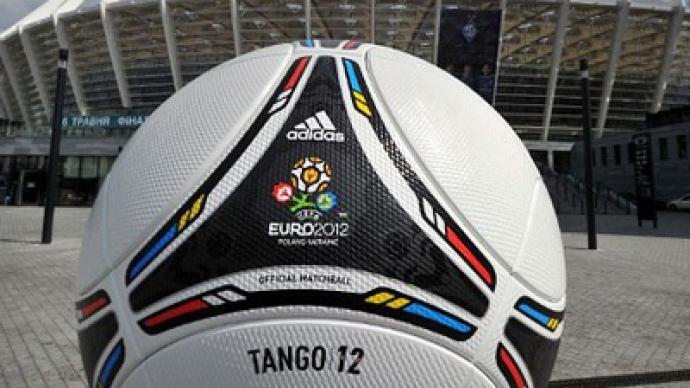 German Chancellor Angela Merkel also has warned that she may boycott all Euro 2012 matches in Ukraine and expects her ministers to do the same. Her spokesman told reporters that “any travel plan is conditional on the fate of Ms. Tymoshenko and is conditional on the rule of law in Ukraine.” Germany, the EU's most populous member state and its biggest economy, has been particularly critical of Kiev over the Tymoshenko case, going as far as to offer the ex-PM treatment in Berlin for a reported back problem. The tournament, Europe's most important football championship for national teams, will be co-hosted by Poland and Ukraine from June 8 until July 1. Czech President Vaclav Klaus has also canceled his visit to the summit of Central European heads of state scheduled for May 11 and 12 in the Crimean resort of Yalta. 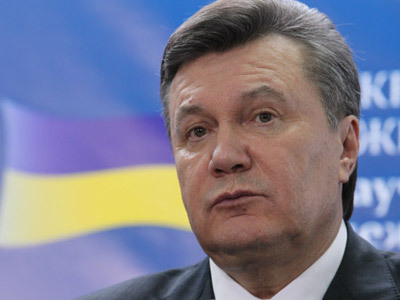 Klaus is the second president to refuse to go to Ukraine for the summit, after German President Joachim Gauck. In turn, Ukrainian officials are accusing European dignitaries of reverting to Cold War-style tactics to drive their point home. Commenting on the possible boycott by EU leaders, Ukrainian Foreign Ministry spokesman Oleg Voloshin said he hoped the report was untrue. “I would not like to think that German state leaders can reanimate the methods of the Cold War period and make sports a hostage of politics,” he told journalists. Tymoshenko was jailed for seven years after a court ruled she exceeded her powers as prime minister by forcing through a 2009 gas deal with Russia. The former politician, nicknamed "the gas princess," is currently detained in a prison near the city of Kharkov, one of the venues of the Euro championship. Many have claimed the case was politically motivated, and the European Union has warned Kiev its members will not ratify milestone deals on political association and free trade with the former Soviet republic as long as Tymoshenko remains behind bars. Tymoshenko has been on hunger strike since Friday, when she said she was assaulted by guards, an accusation denied by prison authorities. Jail officials have said she may be force-fed. 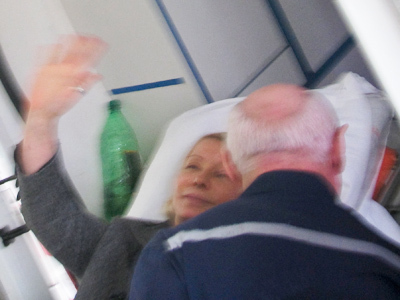 Tymoshenko refuses to be treated by state-appointed doctors, saying she does not trust them.